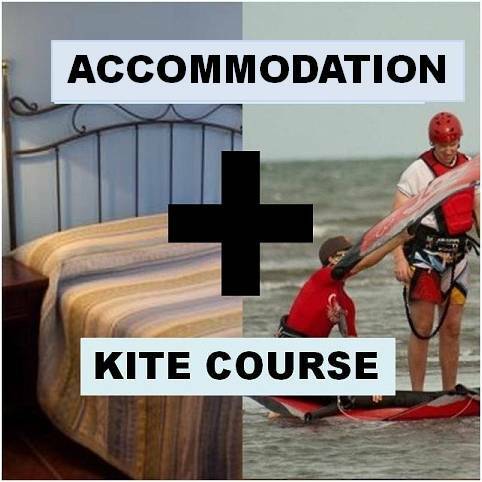 PACK Kitesurfing Course 5 days + Accommodation 6 nights. Take advantage of the SPECIAL OFFER!! Book Now and SAVE!! If you plan to come to Lanzarote and learn to Kitesurf book your PACK now and you will be saving big!!! You’ll learn all the kitesurfing basics, all the safety, first at the beach and by the end of the course you will go in the water and try to sail with the board! !